- Asset allocation and investment management across all account types. Ira's & retirement plan rollovers. If you have interest in areas that are not listed above please do not hesitate to contact us as our services are not limited to what is listed on this page. Securities offered through Securities America, Inc., Member FINRA/SIPC. Advisory services offered through PFG Advisors. 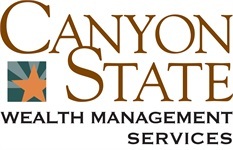 Canyon State Credit Union, Securities America, and PFG Advisors are separate entities. Securities America and its representatives do not provide tax or legal advice.